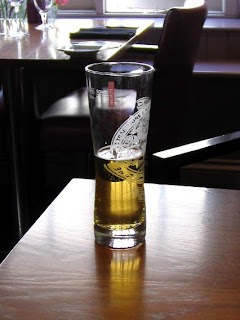 Over the Easter weekend we decided to take a trip to United Kingdom to see some friends in Cornwall area who we have been able to visit for awhile. Easiest way to get to Cornwall area from NYC is by flying direct to Bristol. Continental Airlines has flights much better rates than flying to London. After a seven hour flight we arrived to Bristol airport around 8:30 in the morning. Hertz and few other major can rental agencies have counters right across the terminal building. Make sure to specify your car to have an automatic or manual transmission because the standard rentals all come with manual / stick-shift transmission. Our first stop was Plymouth which is about 120 miles from the airport give or take few miles. I highly recommend getting a rental car with a GPS or Sat Nav as they call it over the pond. Some roads are quiet confusing to a US driver like me. Also watch out for those speed and traffic light cameras. They are everywhere! Anyway, Plymouth is a small coastal town in Devon. "In 1620 the Pilgrim Fathers left Plymouth for the New World and established Plymouth Colony — the second English settlement in what is now the United States of America." from Wiki. Plymouth seems to get very busy during the summer specially over the weekends with tourist traffic. It took a while to get a parking spot and that's thanks to the "Sat Nav". The little town was simply packed because of the amazing weather. When you consider it mostly rains any bright day is a good enough excuse to go for an outing. 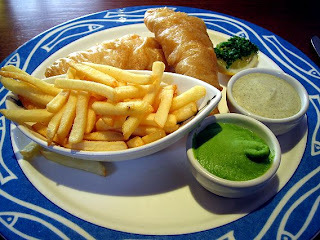 The Barbican is the main street where all the shops, restaurants (plenty of good fish &chips shops) and cafes are located. There is also visitor center to help you with suggestions and maps, etc. After a ten to fifteen minutes walk on the Barbican from the main harbor area the street becomes the Southside Street. 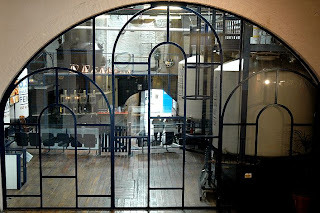 This where our main target was; The Blackfriars Distillery, home of the Plymouth Gin. 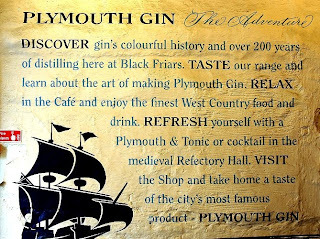 Recently they opened an pretty impressive brasserie inside the distillery called the Barbican Kitchen as well as cocktail lounge where you can try various types of Plymouth Gin (including the Navy Strength with 57.7% alcohol by volume) straight or your choice of mixers. 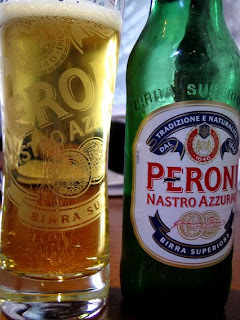 We enjoyed two servings of "gourmet" fish and chips with two bottles of ice-cold Peroni beer. We ordered from the lunch menu but they also serve dinner after 5 pm. 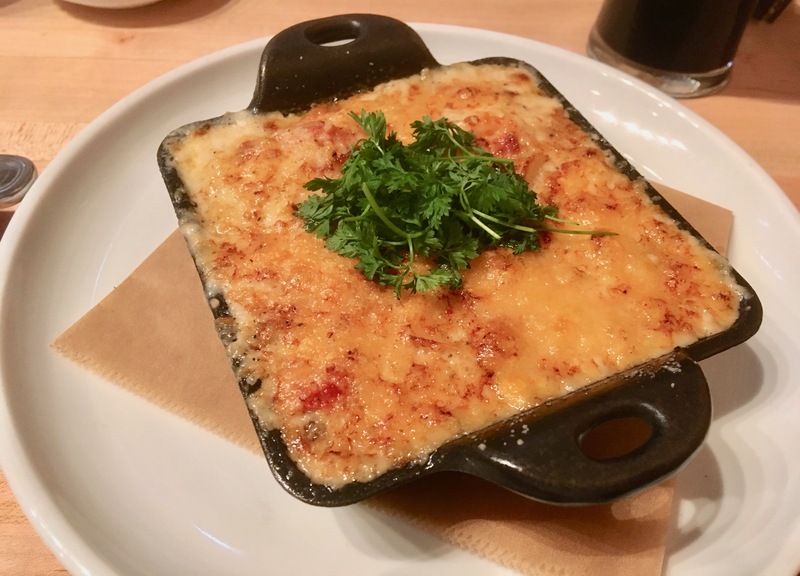 Chris and James Tanner certainly put together an impressive menu of casual yet quality comfort food both for lunch and dinner. 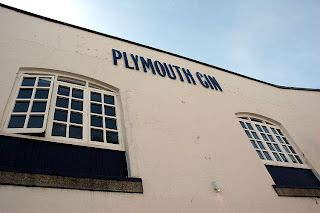 After our meal we took the behind the scenes tour of the Plymouth Gin to learn about the gin making as well as the history of this company established in 1793. You have to turn off all electronics including camera, mobile phones, iPod, etc due to alcohol fumes in certain areas of the distillery. 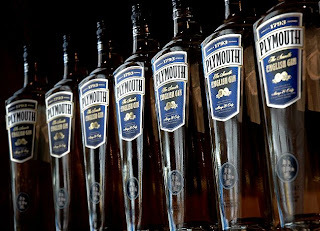 After our tour we picked our souvenir bottles of Plymouth Gin ( you do have a choice of turning your voucher for an actual drink if you are not about to drive) and left Plymouth on our way to St. Austells in Devon.